Long before the age of man, herds of great wild watermelons rolled free over the southern plains. Relive the glory days of these magnificent beasts with Wild Watermelon nic salt juice from Kwit. The delivery system may be modern, but the powerful burst of juicy watermelon flavor is ancient. 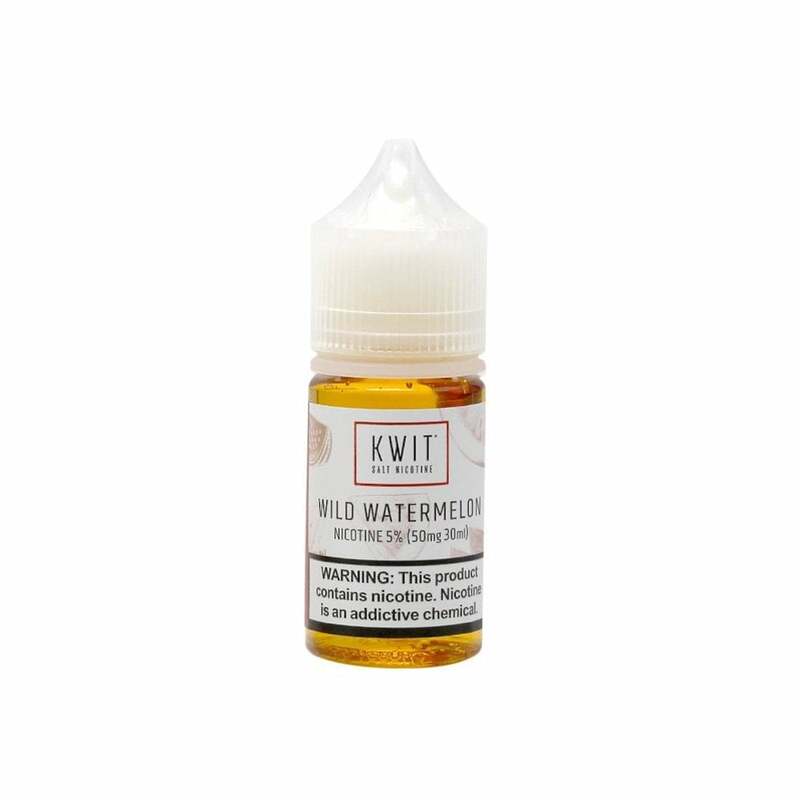 Kwit vape juices are available in 30ml bottles in a range of nicotine strengths from 30mg (3% nicotine) to 50mg (5% nicotine). Kills your pod/coil super fast. Tastes fine, if you like artificial watermelon flavor, but you're going to spend much more than you save by going with this flavor. Accidentally got the 50mg Nic and it was a lot more than what I was used to but I've since grown to love it! The watermelon flavor is sweet but not overpowering. I personally am not a big fan of watermelon but this was more like the candy flavor. I use it in my suorin drop and a little bit goes a long way! I would definitely recommend this juice for someone who doesn’t have lots of money to spend, tastes good at first but gets very dull very fast. Great flavor, I can vape this all day and my throat won’t get sore like it does with the juice in Juul pods.